As an electro-mechanical product running 24 hours without stopping, the elevator is a large-intensity operation everyday. With time going, poor operation may occur inevitably. In view of the actual data, even if proper maintenance is made to the elevator, the normal life of the elevator is often around 25 years. When the preceding operation conditions occur, it is needed to consider to modify and upgrade the elevator. How to make the modification? We can advance the upgrading and modification to the elevator in two steps. Step 1: The experts of elevator modification of Hitachi may give three modification proposals based on the elevator operation status: basic modification, overall modification and leading modification. Step 2:Modification means besides the removal of the poor operation status, it also means to have a new experience of riding the elevator. For this purpose, in deciding the proposal, Hitachi team will also comprehensively introduce the main practical functions of the elevator operation to you, and provide you a customized proposal from four aspects, so as to find out the best modification proposal. Hitachi Elevator will fully offer for you the upgrading possibilities in many aspects, such as the host, control system, operation service, safety guarantee, and so on, and optimize the best elevator upgrading proposal. 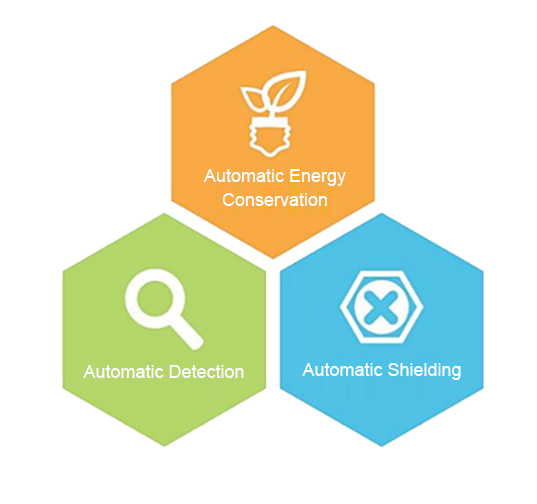 Through smart upgrading, your elevator can have such functions as Hitachi FI-BE group control system, smart security system, the latest permanent synchronous host, elevator service support system, and so on, which are helpful for reducing property management cost. 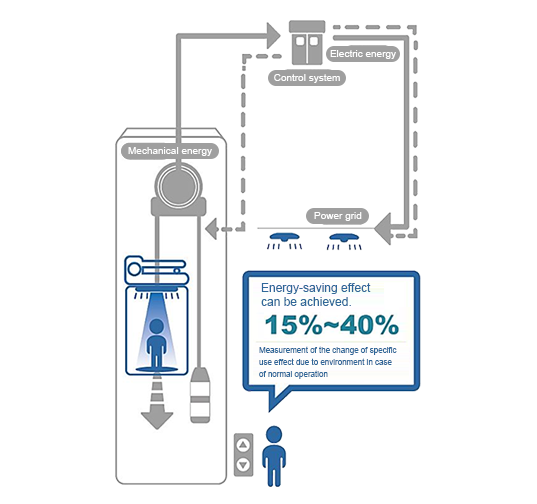 Hitachi elevator energy-saving modification proposal integrates advanced energy regeneration technology and variable frequency energy-saving technology into the elevator, thus not only optimizing the power source, but also transmitting the saved energy into the daily use of elevator and buildings. 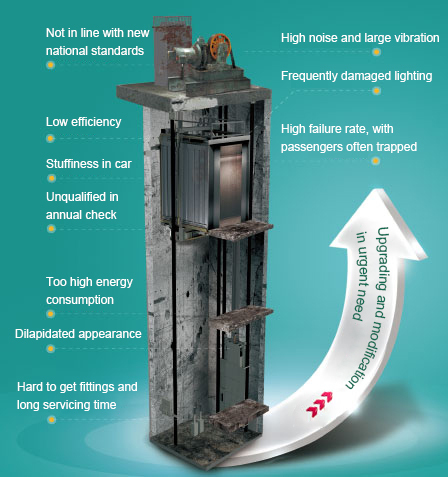 Hitachi's elevator functional modification proposal brings up to dozens of practical functions for elevators. Our team will recommend and assist you to choose the best suitable modification items, based on the use conditions. Through functional modification, the elevator can fully optimize the functional performance, the control system, security and humanization function, etc., can be completely upgraded. 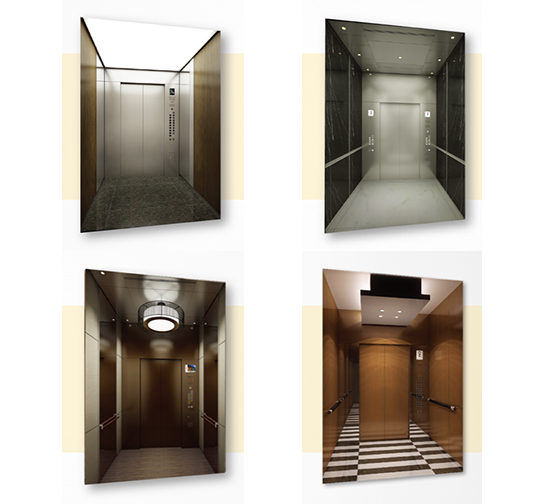 In the process of modification, customers often chose to match the decoration between the elevator and the building. For this purpose, we adhere to the concept of "styling integration", and establish a special decoration modification team to respond to different customers demands. The team will set forth, from vision and space and provide a customized elevator decoration modification proposal. HsD decoration model selection system also allows customers to match their favored decoration effect through systematic simulation.